Astronomers won’t have to wait much longer for their first glimpse of one of the biggest types of unions in the cosmos. New research published November 13 in Nature Astronomy predicts that gravitational waves generated by the merger of two supermassive black holes will be detected within 10 years. The study is the first to use real data, rather than computer simulations, to predict when such an observation will be made. “The gravitational waves from these supermassive black hole binary mergers are the most powerful in the universe,” says study lead author Chiara Mingarelli, a research fellow at the Center for Computational Astrophysics at the Flatiron Institute in New York City. “They absolutely dwarf the black hole mergers detected by LIGO,” or the Laser Interferometer Gravitational-Wave Observatory, which first detected gravitational waves from colliding black holes in February 2016. The detection of a supermassive black hole merger would offer new insights into how massive galaxies and black holes evolve, Mingarelli says. A lack of any such a sighting within the 10-year timeframe, on the other hand, would necessitate a rethink of whether and how supermassive black holes merge, she says. Supermassive black holes live in the heart of large galaxies, including our own Milky Way, and can be millions or even billions of times the mass of the sun. For comparison, the merging black holes detected so far by gravitational wave detectors have been only a few dozen times the sun’s mass. When two galaxies collide and combine, their supermassive black holes drift to the center of the newly unified galaxy. Scientists predict that the supermassive black holes will then close in together and merge over time. That get-together produces intense gravitational waves that ripple through the fabric of space and time. While those gravitational waves are strong, they lie outside the wavelengths currently observable by ongoing experiments such as LIGO and Virgo. The new hunt for gravitational waves formed by merging supermassive black holes will instead leverage stars called pulsars that act like cosmic metronomes. The rapidly spinning stars send out a steady rhythm of radio wave pulses. As passing gravitational waves stretch and compress the space between Earth and the pulsar, the rhythm slightly changes. Those changes are then monitored by pulsar-watching projects on Earth. Three projects currently read the timing of radio waves arriving from nearby pulsars: the Parkes Pulsar Timing Array in Australia, North American Nanohertz Observatory for Gravitational Waves and the European Pulsar Timing Array. Together, the trio forms the International Pulsar Timing Array. Mingarelli and colleagues estimated how long those projects will take to spot their first supermassive black hole merger. The team cataloged nearby galaxies that may host pairs of supermassive black holes. The researchers then combined that information with a map of nearby pulsars to find — for the first time — the probability of a definitive detection over time. One surprise from the results was which galaxies are most likely to offer the first glimpse of supermassive black hole merger. Bigger galaxies mean bigger black holes and therefore stronger gravitational waves. But bigger black holes also merge faster, reducing the window during which gravitational waves may be detected. 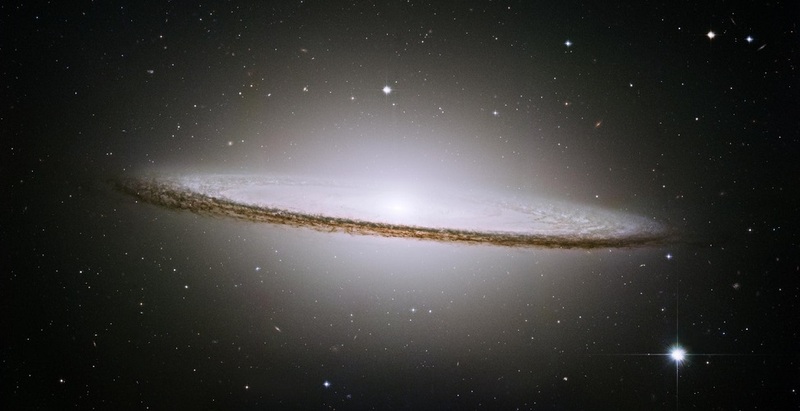 A black hole merger in a massive galaxy like M87 would yield detectable gravitational waves for 4 million years, for instance, while a more modest galaxy such as the Sombrero Galaxy would offer a 160-million-year window. A successful detection would give astrophysicists a better understanding of the astrophysics at the hearts of galaxy mergers, Mingarelli says, and provide a new avenue to study fundamental physics not accessible by any other means. The number of individual supermassive black hole binaries seen also offers a measure of how often galaxies merge, which is an important measure of how the universe evolved over time. If a supermassive black hole merger isn’t seen, it could be because the black holes stall at around three light-years (or one parsec) of separation. This conundrum is known as the Final Parsec Problem. The two black holes close together gradually over time as their orbits degrade as energy is lost generating gravitational waves, but the process can take longer than the current age of the universe. As to whether astronomers will detect a supermassive black hole merger, “it’ll be interesting either way,” Mingarelli says.